Fitting In, starring Mako Sánchez and Alice P. Knight! See, earlier this year, we at Cyanide Nation Studios were busy at work on a series of short films we’ve been preparing for all of you. 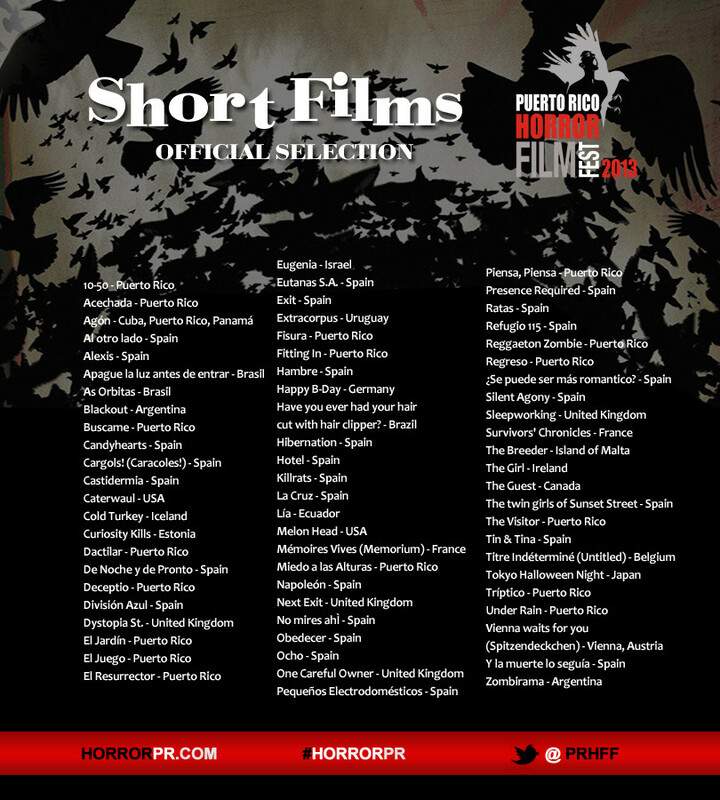 We decided to submit these short films to the Puerto Rico Horror Film Fest. WELL, the verdict is in. We would officially like to announce that TWO of our short films, written and directed by Wilfred Miranda, have been officially selected to be part of the festival. These are 2 out of a total of 71 short films, 18 of which are from Puerto Rico. The first (preview above) is called “Fitting In”, starring Mako Sánchez and Alice P. Knight. The second (preview below) is called “10-50”, starring Adam Manson, Antoine Meadows, Laya Eht Rellik Queen and Alice P. Knight, with Krystal Umi. Check out the preview trailers and make sure to check out the Puerto Rico Horror Film Fest 2013, from October 17 – 23 at Caribbean Cinemas San Patricio! 10-50, Starring Adam Manson, Antoine Meadows, Alice P. Knight, Laya Eht Rellik Queen and Krystal Umi! Also, check out the full short film selection list below!